We would like to invite you to the next meeting of the Interparliamentary Working Group ‘The Kurds’ (IPWK), which will take place on Tuesday, November 7, 2017, from 12.00 to 14.00 in Rotonde 0 of the House of Members of Parliament, Leuvenseweg 21, 1000 Brussels, Belgium. This IPWK meeting is a special, longer edition: special attention will be paid to the new campaign, #SOSTurkey, which wants to build solidarity with the victims of the rising repression in Turkey. 1) 12: 00-12: 30: Kurdish-Dutch film maker Reber Dosky will give a brief overview of the current situation in Iraq and Syria and what impact these developments have on the situation for Kurdish populations in both regions. Followed by a question round. Reber Dosky (1975) is a Kurdish-Dutch film maker who was born in Duhok (Iraqi Kurdistan). He made several award winning short films and documentaries about the hard life in the Kurdish regions of Syria, Iraq and Turkey. 2) 12.30-14: Conference on the repression of the political opposition in Turkey, under the campaign #SOSTurkey. The goal of the campaign #SOSTurkey is to create a broad solidarity network with the victims of the current repression and to promote democracy in Turkey. The campaign began with various conferences, the first conferences were about the prosecution of academics (UGent, 25/10) and the second on the lack of press freedom (International Press Center, 26/10). 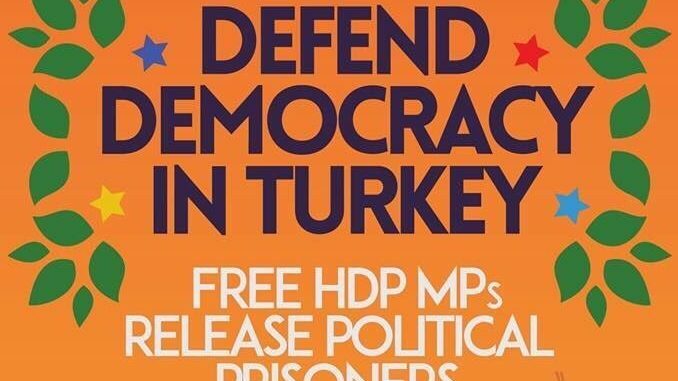 The November 7th conference will focus on the prosecution of the political opposition in Turkey, in particular the arrests and legal prosecution of almost all parliamentarians of the Democratic Peoples’ Party (HDP), dozens of Kurdish mayors of the Democratic Regions Party (DBP, the regional sister party of the HDP) and a few thousands of HDP and DBP party members. On November 4, it was exactly a year ago that both co-chairs of the HDP, Selahattin Demirtaş and Figen Yüksekdağ, together with several other HDP parliamentarians, were arrested. Therefore, we want to take this moment to draw attention to their situation with their colleagues in our parliaments. During the conference, we invite the European Representation of the HDP to present an up-to-date overview of the prosecution of the pro-Kurdish MEPs, their fellow mayors and thousands of party members, and we would like to give our politicians the floor. The intention is to see how our politicians in Belgium can support their colleagues in Turkey and how we can contribute to a more democratic Turkey. Please confirm your presence at koerdisch.instituut@skynet.be or 02 / 230.34.02, at the latest Monday 6 November 2017 at 2 pm. 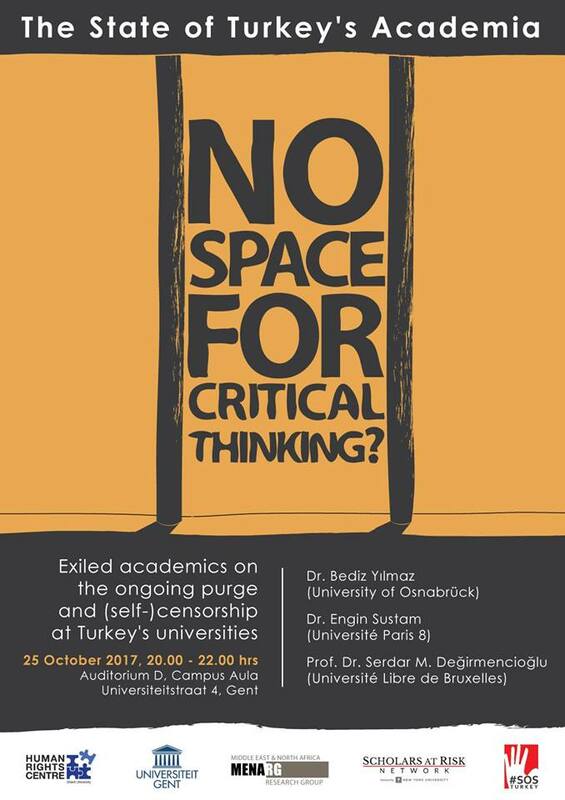 Event: No Space For Critical Thinking?